My db of choice for time based data is InfluxDB because it's blazing fast, can devour everything you throw at it even if its a million datapoints per second and it can receive data via UDP and a simple protocol they call "line protocol" (which is actually just a set of comma separated values). This opens up UDP port 8072 and binds it to (and automatically creates) the db called "coinsworth" which will hold all data for your dashboard. Batch timeout 10s means that the values you send to InfluxDB will be held in RAM for 10 seconds or until 10 data values are submitted before writing it to the disk. Why UDP and not the default HTTP API? Because I like the UDP approach better, it's much easier to implement in various scripts and the HTTP API has changed quite often with newer versions but UDP always directly uses the line protocol which means lower maintanance for the scripts. Restart The InfluxDB service and the port should be open. But don't expose the UDP port to the web without proper firewall configuration since UDP is unencrypted. I have written this little 160 lines PHP script that collects all data and sends it to InfluxDB via UDP. 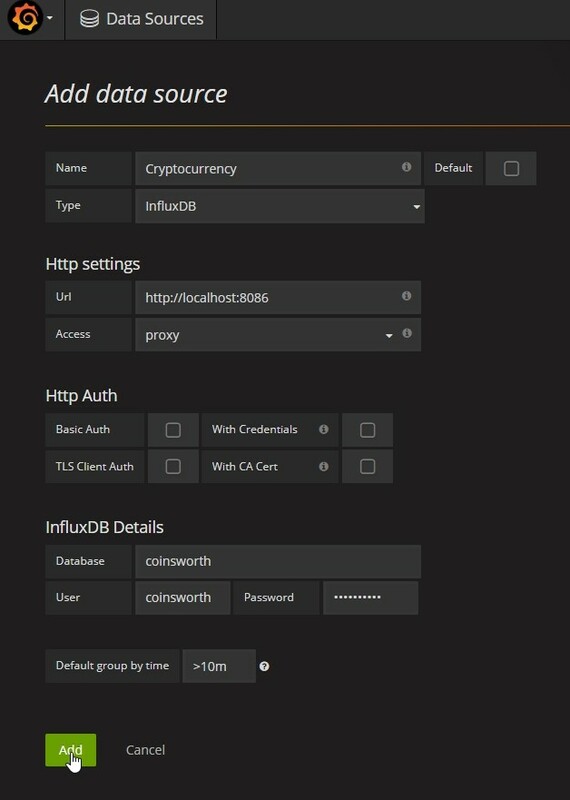 Just change the currency you want to use to EUR/USD/GBP, add your wallet addresses in the PHP array and set the IP and port to your InfluxDB box. Be sure to have the bc-math extensions for php installed tho! 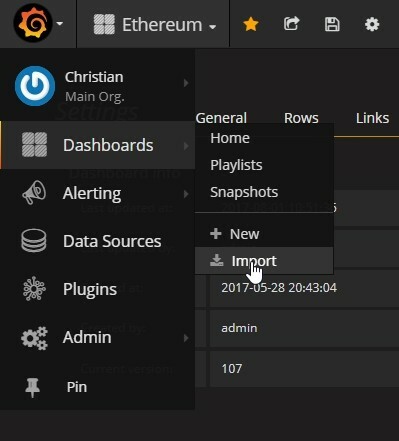 Grafana is my go-to dashboard solution and I use it for many projects. It's simple and connects right to InfluxDB. 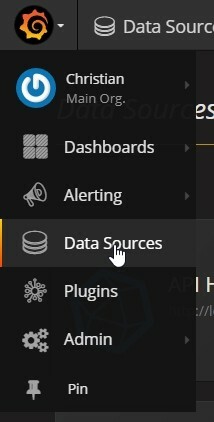 Example use of Grafana: Displaying my temperature data. Damn you heatwave! Click on "Add data source"
Enter the data as shown in this image. Database, User and Password are all "coinsworth"